EVO, the annual tournament wherein scores are settled in the vernacular of a Brakpan greeting, would not be complete without certain games filling up the tournament schedule. Super Smash Bros, Mortal Kombat and Street Fighter are the usual big draws, but then you have smaller fighting games that have their own dedicated crowds watching on. But a number of those specific games have been dropped this year. And that’s because so few people are playing them now. “Many things go into what games makes it to Evo, but the most obvious one is, ‘Is the community playing this game?’” Evo organiser Joey “Mr. Wizard” Cuellar expalined to Shoryuken. A prime example of this is King of Fighters. After last year’s Evo, the game just stopped being played. Even in SoCal (Arguably the home of KOF in the United States), no one was playing this game. Even though it’s still a good game, the interest died out. However, because of the interest in BlazBlue at last year’s tournament, games such as Guilty Gear Xrd SIGN and Persona 4 Arena Ultimax will be maing a debut at EVO. But that’s also because BlazBlue’s latest update has sent fans away in droves, hence the exclusion of that particular game from the roster. “BlazBlue having a big year last year certainly opened the door for this decision,” Cuellar said. Guilty Gear has always been an Evo favorite and it was back this year, and everyone seemed to be playing it. Persona also seems to cater to the not fully anime crowd and more on the mainstream side of things. This can lead to big things at Evo. BlazBlue had a version update that not to many players were fond of, and we rarely put a title in Evo based on the previous year’s top eight. The big draw for me this year will obviously be Mortal Kombat X, which won’t exactly be a tournament staple yet by the time the game releases in April and EVO kicks off in July. “Mortal Kombat 9 was a huge game for Evo and had a three-year run. Based on that alone, we have no doubt Mortal Kombat X will be a huge hit at Evo,” Cuellar said of the game. 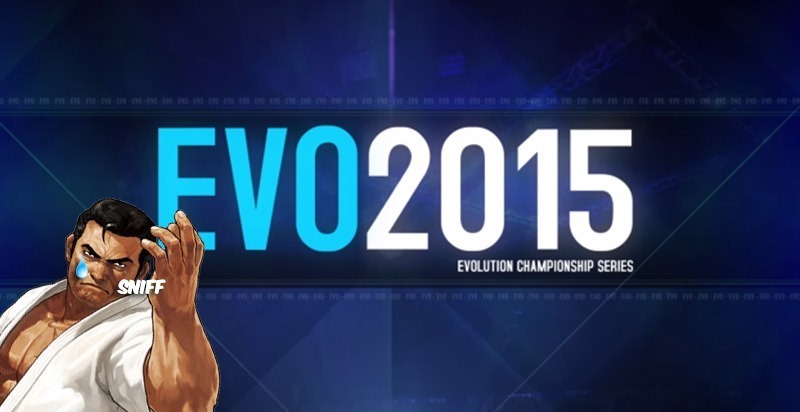 I’ve got a feeling that EVO this year is going to be a big event. Besides the new selection of games, there’ll also be some old school arcade battling when Tekken 7 hits the scene. It also means that this year, new faces have a chance to really take down the top dogs. Which is going to make for some great viewing.